The Camino de Santiago, whether on horseback, on foot or by bike, is a magnificent opportunity to discover some of the most special places in Spain, places that otherwise would not be habitual to visit in isolation. Despite what many people think, the Camino de Santiago is not a single route until Santiago de Compostela, if not dozens of paths that connect multiple points of geography with the holy city. Although the pilgrim has routes with hundreds of years to their backs like the Northern Way, the Primitive Way or the Portuguese Way, when we refer in general way to the Jacobean Route we speak of the well-known French Way. The French route leaves from Saint-Jean-Pied-de-Port or Somport (in its variant of the Aragonese Way) until Santiago de Compostela crossing the East-West Peninsula, passing through autonomous communities like Navarre, Aragon, La Rioja, Castile And León or Galicia. This route of long tradition has been a vital focus for trade and exchange between cultures for hundreds of years, leaving its Jacobean legacy printed in many of the villages it crosses. Some of them, such as those we discover here, stand out for their great charm; Authentic jewels of our past that you must visit at least once, and if it is with the backpack, much better. It is undoubtedly one of the neuralgic points of greatest attraction for pilgrims on the Camino de Santiago, La Rioja, next to Santo Domingo de la Calzada. Najera is located on both sides of the river Najerilla and is a destination well known in the area for the great variety of wineries that can be visited. Within its patrimony it is necessary to emphasize above all the Monastery of Santa Maria the Real, that hides the pantheon of the monarchs of the old kingdom of Nájera-Pamplona or the Castle of the Mota, of Moslem origin, that conserves its moat. 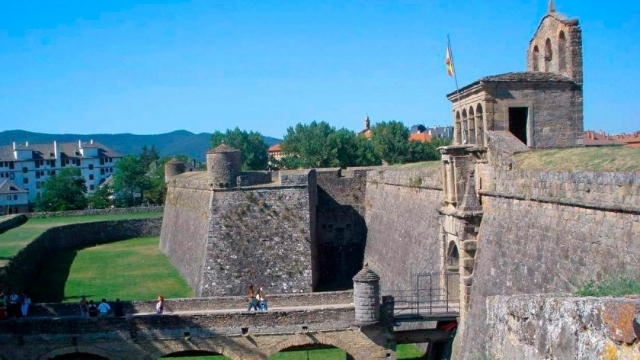 Puente la Reina is one of the most traditional medieval villages of Navarre, and it is also the link between the two main roads that lead to the Pyrenees in the direction of Santiago de Compostela: the French Way (Roncesvalles) and the Aragonese Way ( Somport). Less than 25 km. 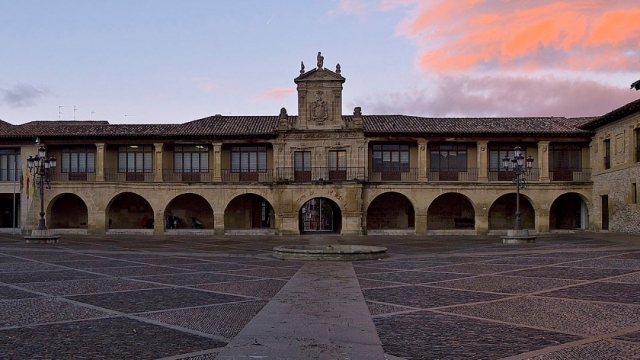 Of Pamplona, this cobbled town of 2,500 inhabitants is a continuous coming and going of pilgrims during most of the year and its 11th century Romanesque bridge is one of the most enduring symbols of the Camino de Santiago. In its Main Street, that vertebra the locality, you will find the indispensable Church of Santiago and Church of the Crucifix. In the Palencia region of Tierra de Campos is Carrión de los Condes, a town of less than 2,500 inhabitants and of great religious, cultural and commercial importance already in the Middle Ages, due to the passage of the Camino de Santiago. 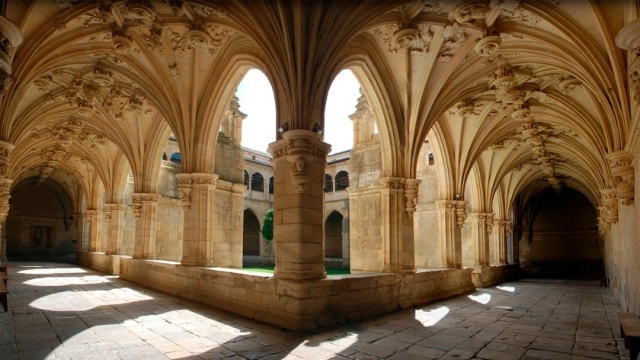 In Carrión de los Condes it is essential to visit the Monastery of Santa Clara, from the 13th century - one of the oldest of the clergy of Spain - the Church of Santa María del Camino, XI and the Church of Santiago, examples of the excellent religious heritage of this medieval town. It emphasizes its gastronomy, its variety of accommodation and above all its remarkable cultural offer. 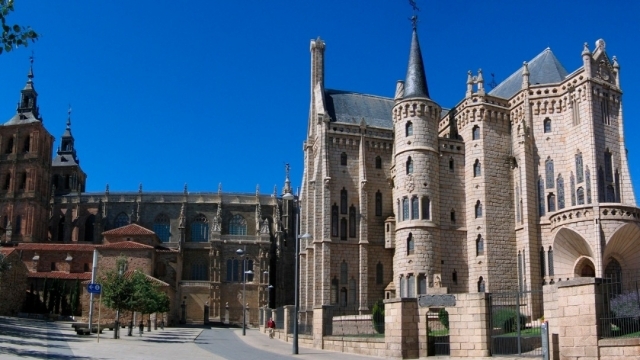 Astorga, populated by 11,000 inhabitants, is one of the most emblematic and visited places of the province of León for its impressive historical and artistic heritage. Historically place of passage of the French Way and the Via de la Plata, the capital of Maragatería stands out for its still preserved walled enclosure and for one of the most important works of the architect Antonio Gaudí, the Episcopal Palace. 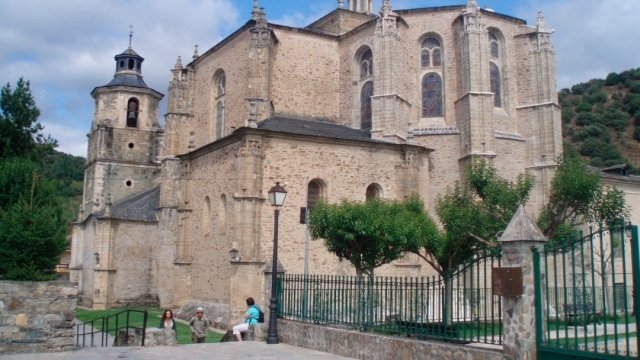 We also highlight the Cathedral of Santa Maria de Astorga, the Town Hall or the Church of San Bartolomé, not forgetting the abundant Roman heritage that is preserved in the city. Sahagún is a traditional Leonese village of the French Way more than accustomed to the passage of pilgrims to Santiago de Compostela and with a monumental complex that makes the view of our path worthwhile. Located between the rivers Cea and Valderaduey, Sahagún historically developed around the monastery of San Benito el Real (Low Middle Ages), which today we have left the arch, the chapel and the Clock Tower. Located at 1,300 meters of altitude, O Cebreiro is one of the most emblematic towns of the Camino de Santiago. 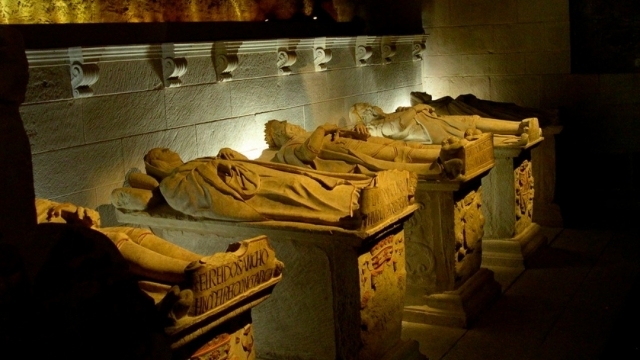 The reasons are several: for its unique architecture (set of pallozas), for its more distant and more recent Jacobean past, and for being the point of entry in Galicia for the pilgrims who pilgrimage to Santiago de Compostela. Pertaining to the Pedrafita do Cebreiro town hall, this traditional villa has a pre-Romanesque church, the oldest one you will find on the Camino de Santiago, still functioning and with a Holy Grail, as well as a hospital for pilgrims dating from the 9th century. You can not understand the Camino de Santiago and its legacy without Santo Domingo de la Calzada, next to Nájera, the two neuralgic points of the river in La Rioja. Its set of medieval streets was declared Joint of Historical-National Interest; Has an old hospital of pilgrims founded by the saint and around which the city developed, a medieval wall of the s. XIII and with the Cathedral of Santo Domingo de la Calzada (Well of Cultural Interest), all this of essential visit. Estella-Lizarra is one of the most important Romanesque villas that you will find in the first stages of the French Way if you travel from its beginning and its history goes back to the eleventh century, although it is known that it was inhabited many centuries before. Born under the cloak of the Camino de Santiago and halfway between Pamplona and Logroño, Estella is a monumental city of architectural beauty full of bridges over the River Ega, convents, churches and buildings with which to enjoy the view. 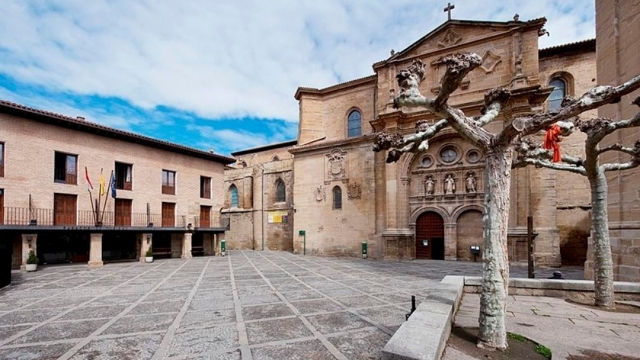 Its Romanesque architectural heritage elevates it to the jewel of the Camino de Santiago. Villafranca del Bierzo, capital of the region of the same name, is not called "one of the most beautiful villages in Spain" in vain and it is that its stately appearance and its marked Jacobean character so certify. 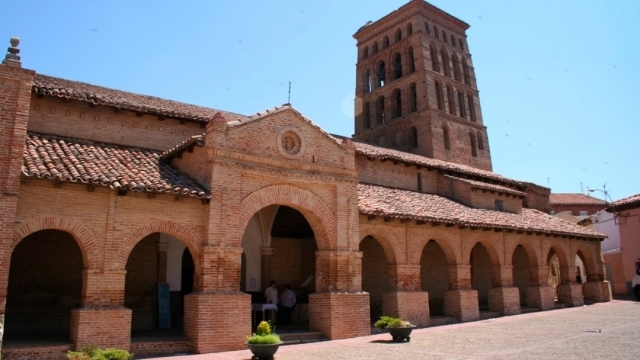 The town is an important tourist center within the province of León, thanks to its monuments as well as its variety of accommodation, culture and gastronomy. 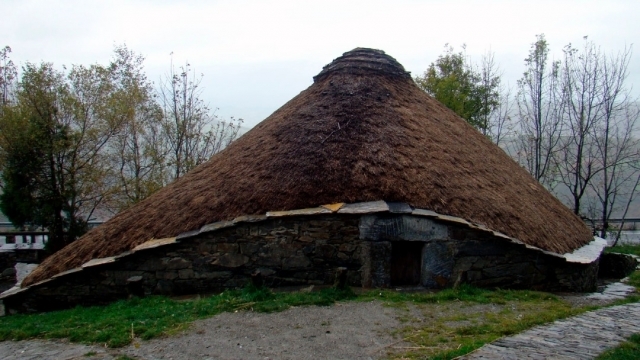 Its foundation is linked, according to legend, to Asturian shepherds who sought fertile valleys for livestock; Known in ancient times as Bierba, emerged in the 11th century after the settlement of the monks of Cluny in the area to assist the pilgrims. It is one of the last important towns through which the pilgrim will pass before arriving at O Cebreiro and entering Galician. Jaca is the only town on this list that is not located in the main route of the French Way that leaves from Roncesvalles, but in the variant of the Aragonese Way from Somport to Puente la Reina. 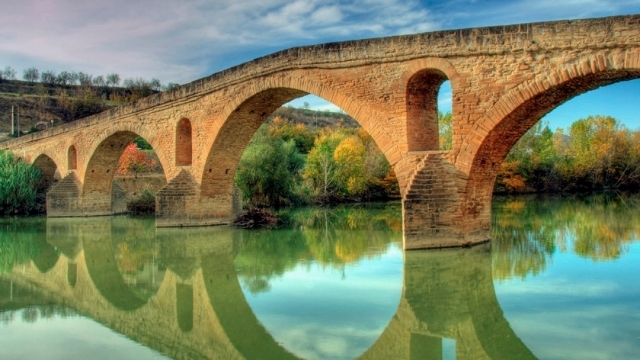 This alternative is chosen by fewer pilgrims, but not less charming, crossing Huesca, Zaragoza and Navarre for 170 km. Next to Sangüesa, Jaca is the most renowned town that we will find in the six stages of Aragonese. Jaca is located in the Valley of Aragon, located in a beautiful natural environment and very close to the Protected Landscape of San Juan de la Peña and Monte Oroel. 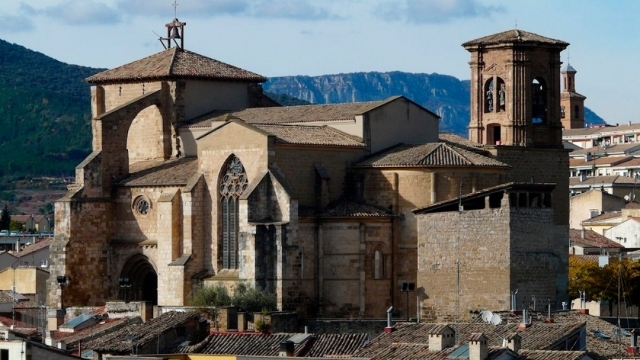 From the Huesca city, which is perfect for practicing winter sports, we highlight its medieval village architecture, among which stands out the Cathedral of Jaca, one of the first Romanesque in Spain. These are just some of the most charming towns you'll find on the Camino de Santiago, but there are many more. What are your favorites? Which ones would you add to the list?